As I say in my About Moi page, good health is a luxury easily taken for granted – until you lose it. If you have your good health intact, think about helping someone who’s lost theirs and is in need of support. Here’s a worthy cause if you want to help women in need. And all women need … ahem … support. The best part is you can do this through unabashed gluttony, eating delicious Thai food at the Blue Elephant Restaurant Bangkok all through October. In fact, the more you eat, the more you help . How could giving be more enjoyable than that? 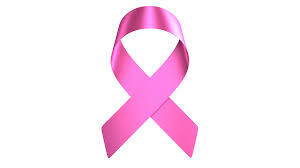 Blue Elephant Bangkok goes shocking pink for Breast Cancer Awareness month. That’ll get your attention! The real building colour is yellow. 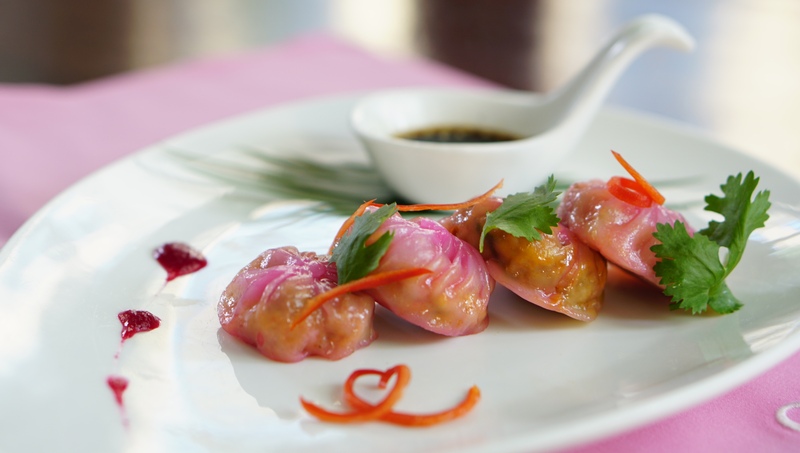 Blue Elephant Bangkok’s Go Pink Menu is specially created for October to help raise funds for the Slum Outreach Project run by the Queen Sirikit Centre for Breast Cancer Foundation (QSCBC Foundation). This project helps underprivileged women suffering from this painful, deadly disease. For nearly 20 years, the Slum Outreach Project has screened underprivileged women for breast and cervical cancer, and the QSCBC Foundation is currently building a new Pink Park Village in Bangkok to provide rehabilitation, convalescence and hospice care for impoverished, terminally ill breast cancer patients who otherwise have no financial, medical, or even physical resources such as a mattress to ease their suffering. On one slum visit, the foundation’s founders met a middle-aged breast cancer patient who was sleeping on a piece of old cardboard and a dilapidated mat, with a box of dried old fried rice for food. It was heartbreaking experiences like this that drives them to take action to help those in need. I was invited to a lovely meal at Blue Elephant Bangkok to taste the unique dishes created by owner and Master Chef Nooror Somany Steppe, who is also one of the Ambassadors of the QSCBC Foundation. Her creations feature a health theme with a pink twist, using organic products and nutrient laden superfoods such as quinoa and karonda to reinterpret classic Thai dishes. Antioxidant-rich riceberry is prominent in most of the dishes, inspired by the Riceberry Project under the Patronage of Her Royal Highness Princess Bhara Kitiyabbha. Chef Nooror is a cheerful bundle of energy. Her daughter Sandra is a chef at Blue Elephant too. It’s a family affair and they all love what they do. Though the restaurant is a magnet for tourists, Chef Nooror’s flavours are not diluted to suit tourist palates. The brilliant Thai flavours that I love so much were all there. I could taste all the subtle layers of zingy, zesty, herbs and fragrant spices, thanks to the use of very fresh organic ingredients. Some delicious items from the Go Pink Menu – Sunchoke Quinoa, a fresh prawn spring roll wrapped with organic sunchoke and quinoa served with spicy pomegranate sauce. 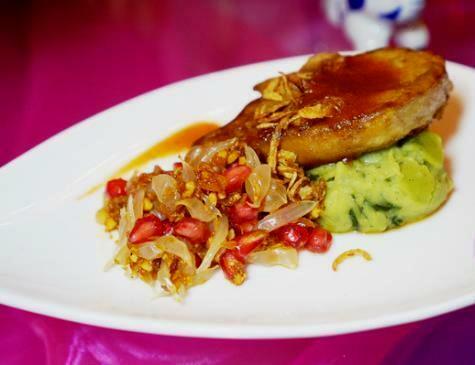 Karonda Foie Gras – seared foie gras topped with organic karonda sauce with pink pomelo salad. Riceberry Vermicelli with Green Beef Curry: homemade green curry paste with organic sand ginger, spices and herbs. Grilled River Prawn: stir-fried riceberry with ancient Thai dip and parkia seeds topped with shredded omelette and Tamarind Prawn. The Smoked Duck Tom Yum Soup, served in the bamboo bowl above, was absolutely heavenly, and one of my favourite dishes. My favourite dish was tender Mok Snow Fish cooked in banana leaf marinated with aromatic herbs and spices. Go Pink desserts include pink sticky rice, homemade jasmine ice cream, Thai coconut custard, and other Pink Menu interpretations of classicThai sweets incorporating superfood ingredients. The Go Pink with Chef Nooror Menu is available for lunch and dinner, a la carte as well as a set menu at THB 1,850 ( around USD 54) per person, throughout October at Blue Elephant Restaurant Bangkok. Have you eaten at Blue Elephant in Bangkok, Phuket, London, Paris, or Dubai? They’re global! How was your experience there? Great promotion by Blue Elephant! Yes I have eaten there, with Susie!! This year in fact and it was fabulous.. I have just returned from a 9 day stay and I’m so glad that I found this little gem of a retreat. The location is perfect, (although not right on the beach, it’s on a hill with security), it offers nature and an orchestra of birds all around you. It’s not a hotel, or a resort (no room service here) but it WILL feel like your home away from home. With about 6 guest rooms in total, it will feel like a very bespoke and personal experience to disconnect and calm the . It’s a little oasis of bliss where you can wake up relaxed and laugh at how much energy you have left come nightfall. The days start with exercise either on the white sand beach or on the hill with a view of the rising sun. You’ll learn so much more about meditation and get stronger with all the yoga movement you’ll surprise yourself. I haven’t felt as flexible in years!